Practice has shown that one of the main reasons of lower technical and economic performance of wide-strip hot-rolling mills is a very short useful life of the universal spindle couplings, and a substantial extension of their durability is required. 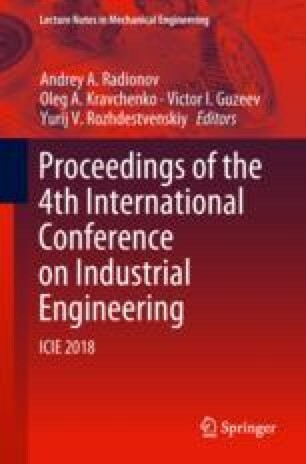 Therefore, in order to find an effective solution to this issue as early as at the phase of design, we have developed (and presented in this article) an analytical model of couplings gradual aging (wear) process depending on the criterion of bronze bearings wear resistance. The model provides a method for forecasting the condition of couplings without running model testing or full-scale experiments. It was built using the main principles of evaluation of technical objects parametric reliability and the basic dependencies of electromechanical theory of stationary tribo-systems pertaining to the aging process. On the basis of our model, we have developed an algorithm for calculating the expected life of universal spindles. The algorithm can be used as an instrument for analyzing various alternatives of couplings design and selection of the one with the best durability. The model validity has been proved through comparison with durability calculations provided in well-known research papers.